20 characters per line. The first two lines are in bold. 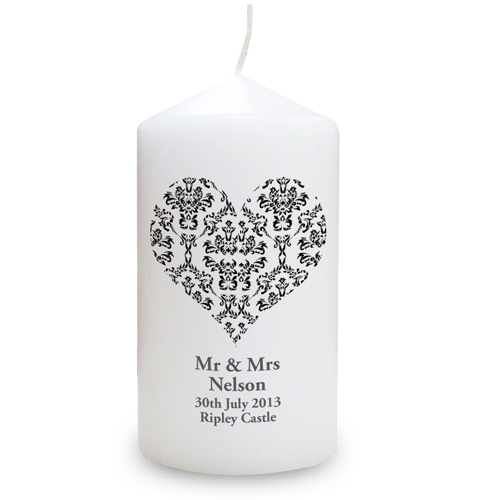 Personalise this black damask candle over 4 lines up to 20 characters per line.